In order to use the phone parts of FONA you will need a SIM card. Luckily, there's a phone store in every town in America! You can get a pre-paid or post-paid SIM but we kinda like the pre-paid kind. 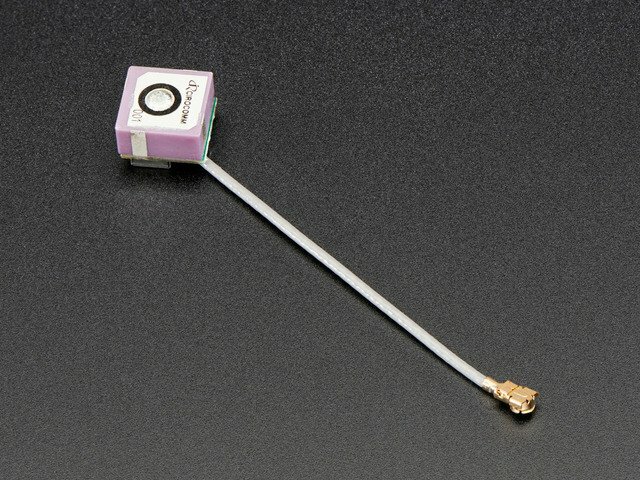 A 2G Mini SIM card is required to use the module. Nearly any cell phone shop can sell you a SIM card. It must be a 2G GSM card. AT&T in the US does not sell these anymore! They are shutting down their GSM network, and only T-mobile sells and supports a GSM network. If you are in another country, chances are you can just ask for a GSM 2G card. MicroSIMs won't fit - so make sure its a "Mini" SIM. Sometimes these are just called plain "SIM" cards since the huge-size SIMs are rarely used. Mini SIMs are 1" x 0.6" / 25mm x 15mm. these are by far the most common size. In the US, AT&T no longer sells 2G SIMs! We suggest T-Mobile or T-Mobile "distributors"
If you have an older AT&T SIM it may work. AT&T announced in 2012 that they would shut down their 2G network January 1, 2017. The vast majority of M2M (machine-to-machine) cellular devices use GSM, so the 5 year lead time was to give people plenty of time to migrate from AT&T. T-Mobile does not have any announcement that they will sunset GSM. We can't speak for them but we expect at least 5 years warning as well, probably they will never fully sunset since there's millions of machines with GSM connectivity. 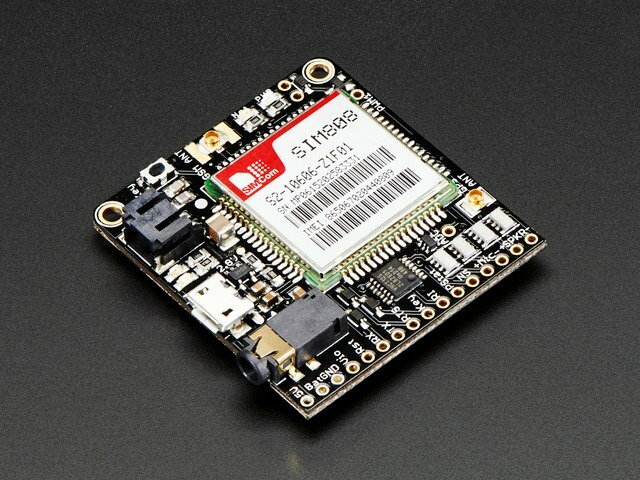 Adafruit now sells the TING SIM card, a 2G GSM SIM that works great with all FONAs, and has a great billing system as well, where you only pay what you use! If you don't want to use TING, there are dozens of T-Mobile resellers such as Walmart, SIMPLEMOBILE, etc! Just ask the seller if its AT&T or T-Mobile network. If they get cagey just say your apartment has no AT&T coverage. You do not need to bring in or show your FONA to the Cell Phone store. Just tell them you need a Mini SIM for a GSM phone and it's at home. Some suggestions from FONA users! Just want to let the Adafruit team know that it is possible to get pre-paided minutes on T-Mobile and its a pretty good deal. I was paying $100 for 1000 minutes (10c a minute 20 a sms) over the course of the year. For me it in my usage came out to about $8 a month. Have found this is something that you have to ask for at the store. No evidence in advertising or website -Paul B.
Telna has a good deal you may want to point people to for FONA. I used them for a previous GSM project and they worked great. $20 per year, includes 1000 free txt messages and a bunch of other nice features. I had a lot more issues with T-Mobile (Their cards go inactive if not used in a month and you have to call to reactivate) -Tyler C.
There are specialty "machine 2 machine" SIM sellers that have plans that are tuned for the short bursts of usage used by these kinds of modules. Check out these guys for example, you can choose data, voice/sms or a combination for a pretty low price! We haven't tried all of these SIMs so you may need to try it out. For other countries, GSM is very common so you should be able to buy a SIM from any cell phone store. There's three external connectors along the left side, from the top, a mini JST 2-pin, a microUSB and a headphone jack. JST 2-pin - this is the battery input connector. It works with any of our Lipoly batteries but since the charge rate is 500mA (and the cellular module can spike high current draw!) we suggest our 500mAh or 1200mAh batteries. You can also connect a JST cable here if you have other plans. 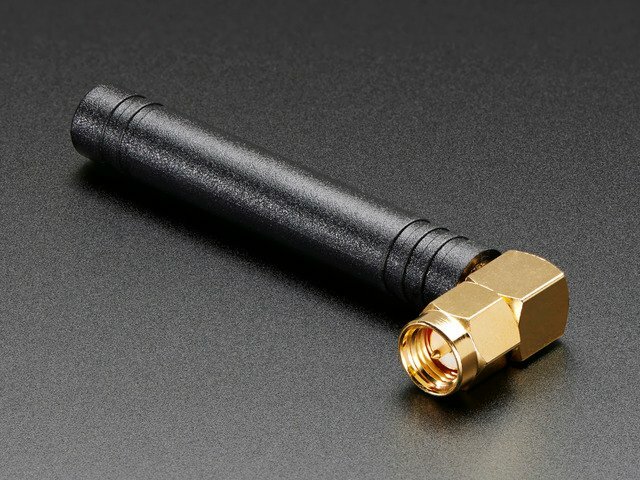 MicroUSB connector - this is the LiPoly/LiIon battery charging port. The SIM808 has a USB interface but its ONLY for reprogramming the module with an expensive and unavailable IDE. So charge only! The charge rate is 500mA max. 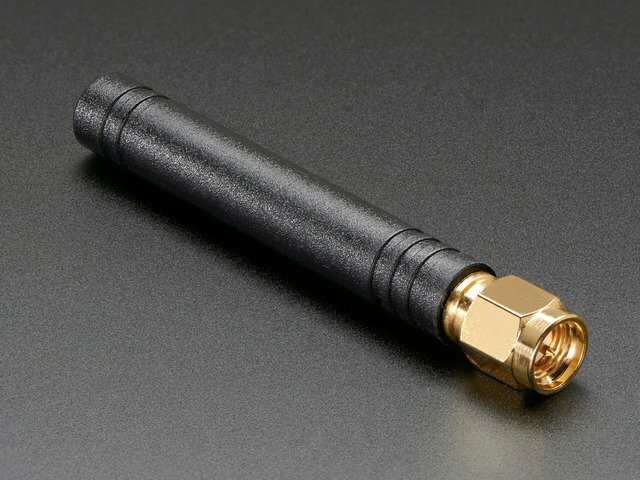 Headset jack - this is a 'standard' TRRS 3.5mm phone headset jack with stereo earphone and mono microphone. Any 'iPhone' or 'Android' compatible (but not iPhone original) should work. We tried about 10 different ones, and basically the more expensive once are more comfortable and louder but our official iPhone headset mic did not work for unknown reasons. Sleeve is Mic+, first ring is ground, then the second ring and tip are for stereo audio. The module does not have stereo out so we just tied both together. Up top is the place where you can plug in your GSM antenna. 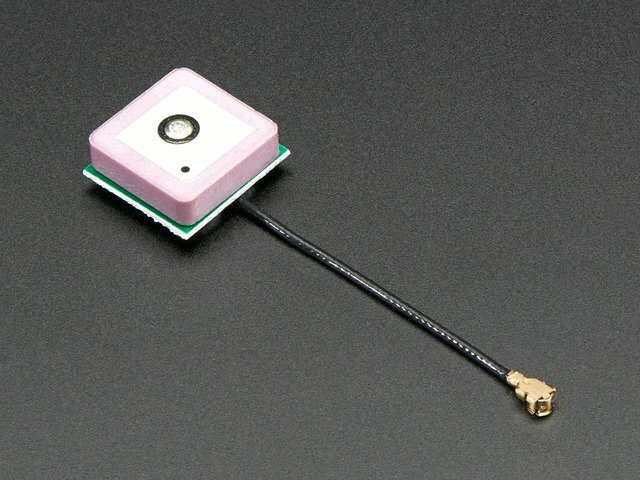 An antenna is required to use the module for any kind of voice or data communications as well as some SIM commands! On the right is a GPS antenna port. This is for a passive 50 ohm GPS antenna only! A 2G Mini SIM card is required to use the module. Nearly any cell phone shop can sell you a SIM card. It must be a 2G GSM card. AT&T in the US does not sell these anymore! They are shutting down their GSM network, and only T-mobile sells and supports a GSM network. If you are in another country, chances are you can just ask for a GSM 2G card. For USA customers, we have a known-working TING SIM card which has a great billing system and works very well! 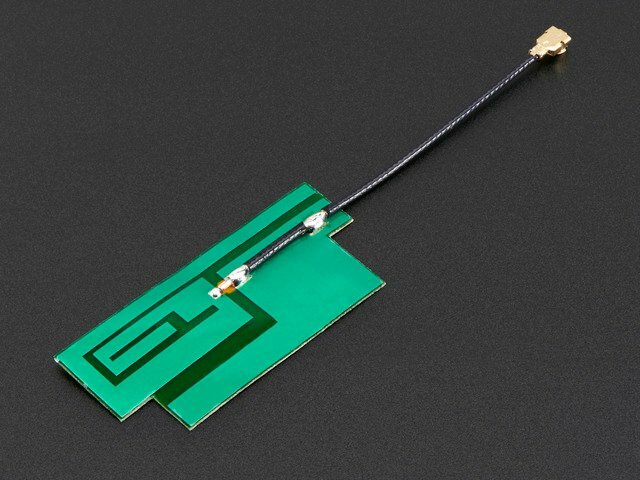 MicroSIMs won't fit - so make sure its a "Mini" SIM. Mini SIMs are 1" x 0.6" / 25mm x 15mm. These are by far the most common size. Most cards come with a voice and/or data plan. If you want to make phone calls and SMS's you'll need a voice plan. If you want to transmit data like fetching a webpage, you'll need a data plan. These pins are all 3-5V input safe and if they are an output, the logic level is whatever Vio is set to. Vio - THIS IS THE MOST IMPORTANT PIN! This is the pin that you MUST drive with an external voltage from 3V-5V to set the logic level converter. The converter also buffers the indicator LEDs so NOTHING will appear to work unless this pin is powered! You should set the voltage to whatever voltage your microcontroller uses for logic. A 5V micro (like Arduino) should have it be 5V, a 3V logic micro should set it to 3V. 5V - this is the USB 5V from the microUSB connector when its in and powered. Good if you need to know when the microUSB is plugged in and/or want to recharge the battery from an external plug. PS - this is the Power Status pin. It is low when the module is off and high when the module has power. If you're using the Key button or pin, you can monitor this pad to see when the module's booted up. This is tied to the Pwr LED too. NS - this is the Network Status pin. It pulses to signal the current status of the module. This is also tied to the Net LED so for more detail see the LEDs section below. Reset - this is module hard reset pin. By default it has a high pull-up (module not in reset). If you absolutely got the module in a bad space, toggle this pin low for 100ms to perform a hard reset. RX & TX - OK now that I made you read all that you can actually use the UART pins. The module uses UART to send and receive commands and data. These pins are auto-baud so whatever baud rate you send "AT" after reset or boot is the baud rate is used. RX is into the module, TX is out of the module. RI - this is the Ring Indicator. It is basically the 'interrupt' out pin from the module. It is by default high and will pulse low for 120ms when a call is received. It can also be configured to pulse when an SMS is received. 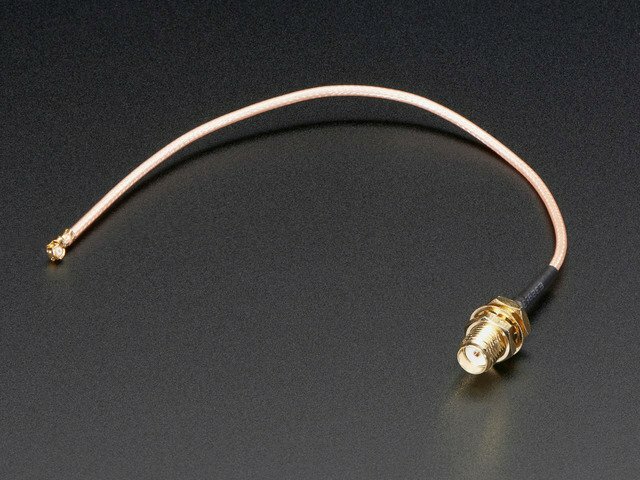 MIC + and -: this is for connecting an external electret microphone, it will bias the mic with 2V. Most electrets will work just fine. No extra circuitry is required for the mic such as a biaser or amplifier, just wire it up directly! By watching the blinks you can get a visual feedback on whats going on. We scattered a few other breakouts around the board. Buzzer and PWM (Top right) - These are tied to the PWM output of the module! The PWM capability is quite nice, it can set any frequency and duty cycle. The PWM pin is directly output from the module and is 0-2.8Vpp. The Buzzer output has a NPN drive transistor so it can run a small vibration motor. Bz+ is the VBat voltage, Bz- is toggled on and off to ground. ADC (left middle) - the SIM800 has an ADC that can read 0-2.8VDC from this pin, referenced to ground. It also has an internal battery ADC so you can use this for a sensor or something. You can query the voltage from the UART. 2.8V max, people! 2.8V test point - We have a test point for the 2.8V internal regulator, its off to the right. Check polarity for the battery! You must insert a SIM card to do anything but the most basic tests. GPS does work without a SIM but of course you cannot send or receive texts, calls, etc! The SIM card holder is on the back. It holds a very-standard "Mini SIM"
Micro SIMs will not work! Make sure you get a "Mini SIM"
We'll be using software serial to talk to the module. The Mega ('2560 based) can't use Digital 3 for FONA TX, so use digital 10 instead. The Leonardo and Micro ('32u4 based) can't use digital 3 for FONA TX, so use digital 9 instead. See this page for other pins you can use for FONA TX (SoftwareSerial Receive) on the Mega, Leonardo, and Micro. If the FONA has good signal it will immediately try to locate a cell tower and register to it. Once it's Home Registered, give it like 5-10 more seconds before trying to access/send SMS's or phone calls. There is a single PWM output pin that you can use to control a Piezo or a vibrating motor. The datasheet is a little unclear on how to use it in 'PWM' mode where you have full frequency and duty cycle control. In the mode we're using it, you can set the frequency from 1-2000 Hz and it will have 50% duty cycle. The PWM pin is the straight-from-the-module output, 2.8Vpp. The Buzzer pins have a PNP driver, so you can use it with a motor buzzer and power from the lipoly battery. Make sure to use a PASSIVE GPS antenna! You can start out by turning on the GPS module with O (capital-o) and query the status of the 'fix' with x. It will take a minute or two to get a fix. On V1 FONA808's you can send a number from 0-255 indicating which sentences you want emittted. On V2 FONA's you can only select 'on' or 'off' and get all sentences! Is a Lipo Battery required? Can I run the FONA off of a power supply or just the microUSB port? The microUSB (on the shield, in CHARGE mode and powered via USB or DC power) is only used to charge the battery. Without a battery installed it will flicker on and off so it cannot be used to power a FONA minus battery. A 1200mAh+ sized Lithium ion/polymer battery is required, nothing else will be able to easily power the FONA and provide the correct voltage range even during 2 Amp spikes. I really want to run my FONA without a Lipoly battery! Ahh! My FONA was working fine then I sent it some command and its not working right anymore? command. Say with fona.println("ATZ") or using a USB console cable to send commands. If you set an odd fixed baud rate (e.g. you cannot even get an OK when you send AT), a USB serial console cable will be helpful it quickly changing baud rates in your terminal software to get back to a working AT/OK setup! I'm using FONA as a voice caller and the other person can't hear me! Note that you do have to use a compatible headset. Not all CTIA headsets will work, the ones we have in the shop are known to work and so do many other Android but iPhone headsets do not. You can also use 'external' audio on the FONA (electret mic and speaker soldered to FONA) but you cannot mix and match. Either you use headset or you use external audio. You cant use external mic and headset speaker. Can I charge the battery and use FONA at the same time? Yes! You can use the Lipoly as sort of a 'backup battery' - keep charging it via MicroUSB (on the shield, in CHARGE mode and powered via USB or DC power) during use. If the MicroUSB loses power, the FONA will keep going. My FONA won't turn on/respond! Or it acts flakey and auto-shuts off sometimes! We've noticed a lot of problems that are 'weird' that are a results of using batteries with the wrong polarity. Batteries not from Adafruit are not guaranteed to have the right pinout! Using the wrong pinout may damage the FONA and/or make it act 'odd'! FONA 800/808 requires a 2G SIM, does it work with a dual 2G-3G SIM? The AT&T GSM network is going to be live until January 2017. If you're reading this and it's 2017, you're outta luck. If not, you can try to get an AT&T SIM activated to the 2G GSM network but its not going to do that by default. You'll have to call up or talk to an AT&T rep and it may not go so well because they really don't want people to use their GSM network. How long can FONA last on my battery? We haven't done extensive testing with FONA but from preliminary reports, the FONA draws about 20-25mA while running, up to 200mA+ while actually making a call/sending/receiving data, and has very small spikes of up to 2A. The spikes are short and are absorbed by the onboard capacitors. A 1200mAh battery can run the FONA on 'standby' for a day or two. How do I set the Real Time Clock on the FONA SIM? Please see this forum post! The FONA 808 has two versions, due to a revision of the module itself. Version 1 has two barcodes on the front and is part #S2-10606-Z1F01. Version 2 has a QR code on the front and is part #S2-10606-Z1F02. V2 has a newer/better chipset (MT3337 instead of MT3336) but the commandset has changed. Which is annoying but adaptable! If you are using V2, use this GNSS command document instead. How do I switch between SMS storage on SIM and in internal FLASH? You can switch between the storage locations by changing the FONA_PREF_SMS_STORAGE definition in the Adafruit_FONA.h library file. The definition "SM" selects the SIM, and the definition "ME" selects FLASH. // Set the preferred SMS storage. //   Use "SM" for storage on the SIM. I'm trying to reset the FONA with my microcontroller/computer and pulling the RESET pin low via a GPIO isnt working? There's a superfluous level shifting diode that we put on the FONA and FONA 808 breakouts - it turns out it isn't necessary and for microcontrollers with weaker outputs it can keep the FONA from resetting. You can 'bridge' this diode with a piece of wire, its perfectly safe and may give you a little more headroom. There's already level shifting inside the modules so there's no risk to this mod. Simply solder a small wire between the two pads, or remove the diode and replace with a 0 ohm resistor or wire. You must insert a SIM card to do anything but the most basic tests. FM radio does work without a SIM but of course you cannot send or receive texts, calls, etc! This guide was first published on May 29, 2015. It was last updated on May 29, 2015.